The Japantown San Francisco District was originally established in 1906. This historic neighborhood is the oldest of the three Japantowns left in the United States. In this small but thriving neighborhood, you will find plenty of things to see and do. Here you can shop for authentic Japanese foods and gifts. 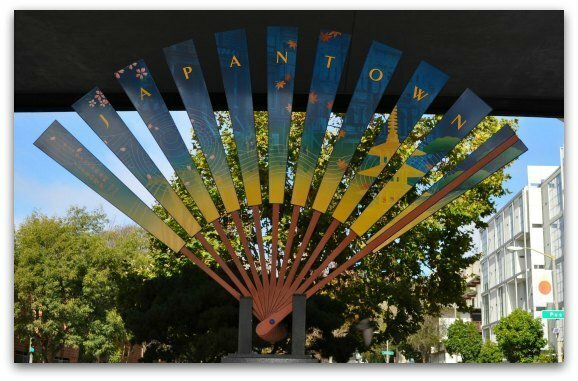 You can also go on a Japantown History Walk or relax in Peace Plaza. Japantown is also home to one of the most beautiful festivals every year - the Cherry Blossom Festival. It's a two weekend long festival every April and a great way to learn more about the Japanese culture. 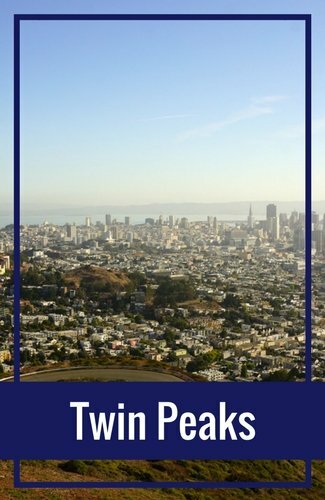 Here are a few more details on my favorite things to see and do in Japantown. One of the key draws to Japantown is its large shopping center. Here you will find a variety of Japanese stores selling everything from Japanese clothing to books. The large Japan Center Mall is more than two blocks long with dozens of shops. This is the main shopping area and the place where most activity in the neighborhood is found. 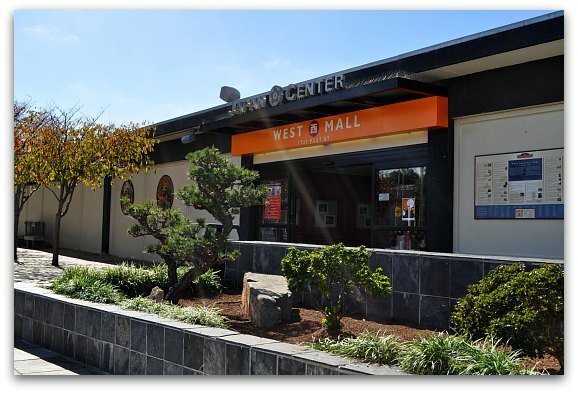 You will find the Japan Center's East and West Malls at 1737 Post Street. In the Japan Center, you will also find several authentic Japanese restaurants. Many of these are found in the area called Restaurant Row. This is found in Japan Center's West Mall. Another way to sample the great Japanese food here is by taking a guided food tour. 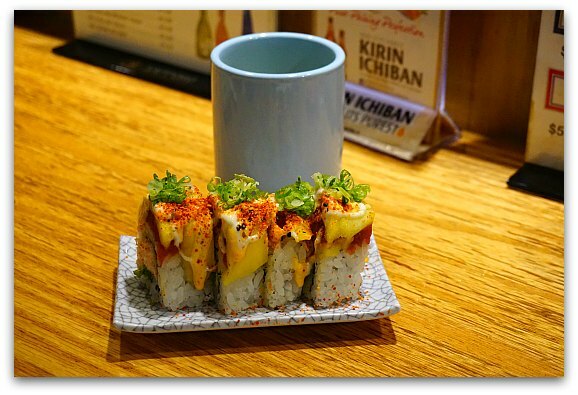 With your local food guide, you'll discover some of the Japantown San Francisco hidden spots and sample 6 to 7 authentic Japanese foods. 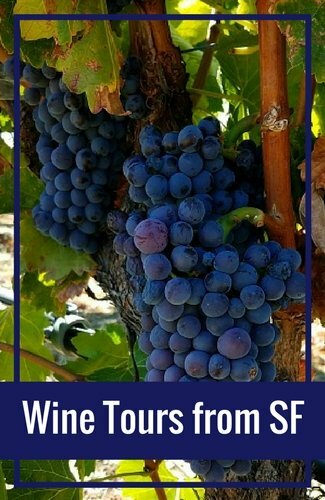 This three-hour walking food tour is offered most Fridays and Saturdays starting at 11 AM. Situated between the Japan Center's East and West Malls is Peace Plaza. This block-long courtyard is a perfect place to come and relax. This large outdoor area has plenty of seating, so it's also a great place to enjoy lunch or just hang out and watch the crowds. 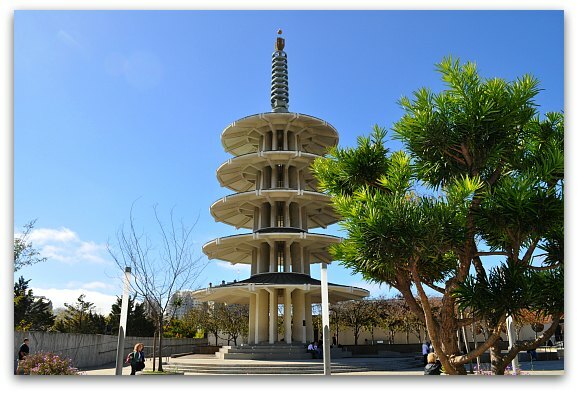 It's also the location of the iconic Japantown San Francisco Peace Pagoda. 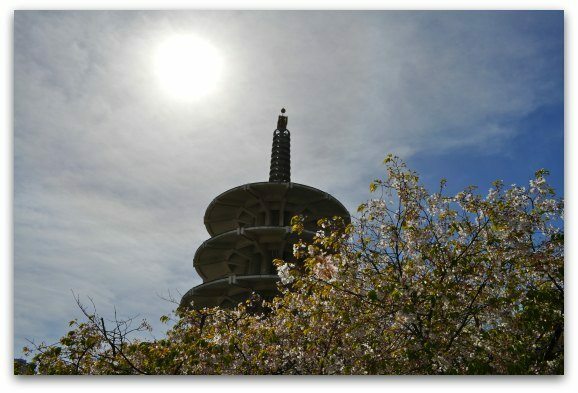 The city of Osaka, Japan gifted the Peace Pagoda to the people of San Francisco in 1968. Since that time, it has called the Peace Plaza home. 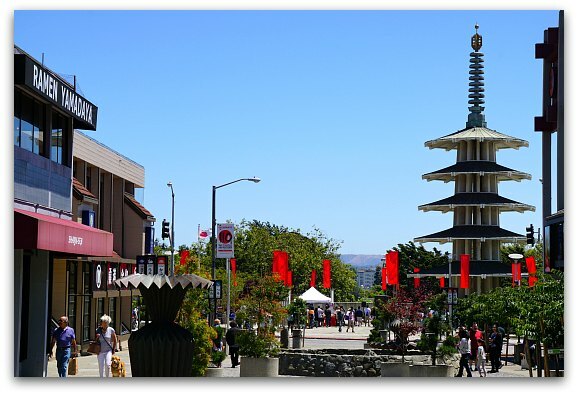 One of the best ways to learn even more about Japantown San Francisco is to take its self-guided historic walking tour. The walking tour has several stops throughout the Japantown neighborhood. 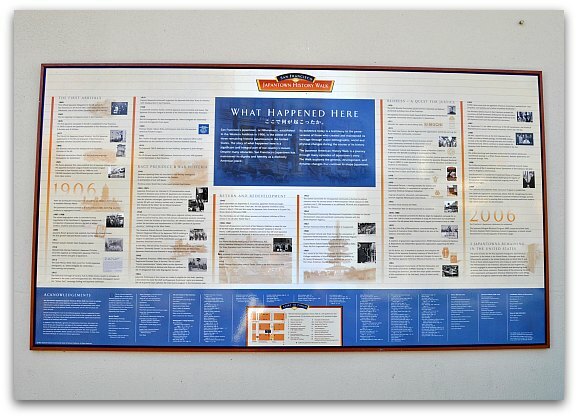 Each stop has a large plaque describing the events that happened at that location. You will find the first plaque for the walk on the eastern side of the Peace Plaza. Here you will also find a quick history for this neighborhood and a few of the things you will see on this tour. The route is easy to follow as each plaque also gives you the name, location and a small map to the next plaque on the route. 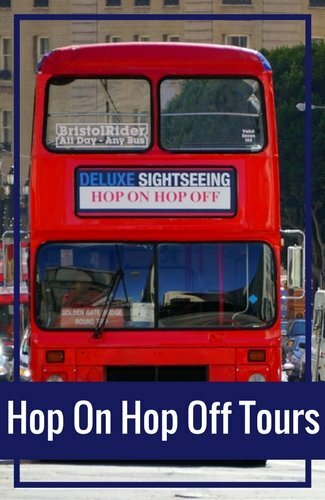 There is nothing you need to do in advance to take this walking tour. My favorite place to catch a movie in San Francisco is at the Sundance Kabuki Movie Theater in Japantown. They have several screens that usually feature the top rated shows as well as some great independent movies. This theater was recently renovated so they have huge, comfortable seats which makes watching a movie here very enjoyable. Some of the theaters at the Kabuki also offer food and beverage service (including wine and beer) in their balcony area. 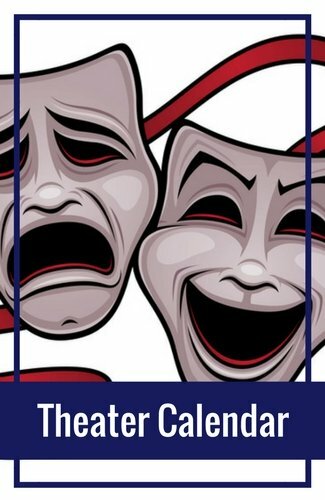 You will find the theater on the corner of Post and Fillmore Streets. One of the biggest events every year in Japantown San Francisco is the annual Cherry Blossom Festival. This is when the cherry blossoms are in bloom, which means it's time to celebrate the Japanese culture. 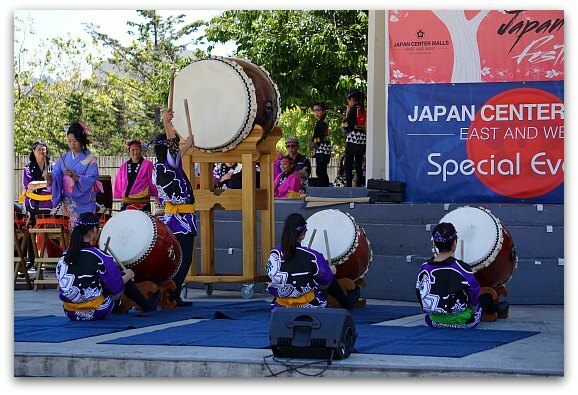 During this two weekend long event, you will get the chance to sample traditional Japanese food, listen to Japanese music and watch Japanese Folk Dancers. You'll also get the chance to hear the Taiko Drummers, watch and learn about the ancient Tea Ceremony and more. Origami Palooza: A one-day event where you can show off your best Origami. 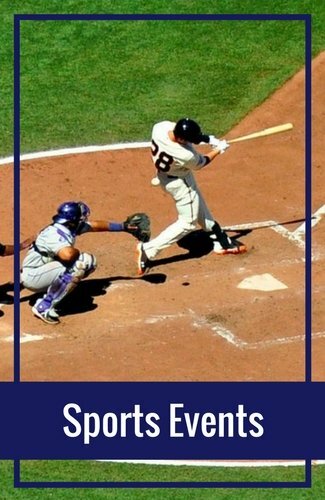 You can also learn from experts and participate in contests. It's usually in the middle of June. Discover more details here. Japan Day: A one-day street fair that celebrates SF's Japantown. It's usually the middle of July. Click here for details. Japan Film Festival: A nine-day festival in July featuring only movies that discuss Japan or the Japanese culture. Most are in Japanese with English subtitles. Click here for the most recent schedule. Nihonmachi Street Fair: A two-day festival that celebrates the entire Pan-Pacific American community. 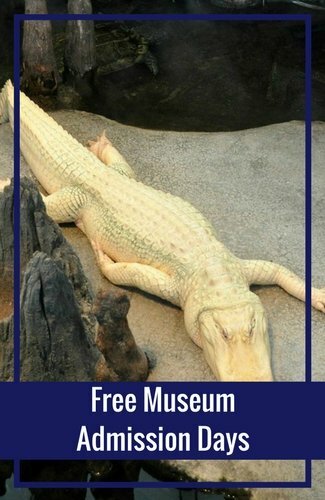 You will find live music, performances, food, and other fun activities. It's usually the first weekend in August. Spooktacular Halloween Event: Grab the kiddies and come on over to the Japantown Center Malls for their annual trick-or-treating event. It's a safe place for kids to enjoy some free candy, a bouncy house, face painting, and more. Click here to visit the Halloween for kids page for this year's date and details. There are a few great places to stay that are only a couple of blocks from the heart of Japantown San Francisco. Here are your top rated options. The Buchanan is a three-star hotel about a block away from the Peace Plaza in Japantown. It's a modern facility with 125 rooms. Hotel amenities include a fitness center, business center, and free high speed Internet access. You will find both a bar and a restaurant on-site. Suites are also available in this hotel. Compare rates and find the best price for The Buchanan in Japantown. This 3.5 star hotel is also in the heart of Japantown. It's offers a great location with large, clean rooms. It has many local touches also including the cute Japanese court gardens in the center of the hotel. It has 218 rooms, allows pets, and offers all of its guests access to the business center. There is a fitness center on site as well as free high speed internet in all the rooms. Compare rates for this hotel and find the best price on Booking.com. Another popular hotel near Japantown is the three-star Queen Anne Hotel. It is just two blocks east of the Peace Plaza. This small hotel has an interesting decor - and each room has its own unique style. At this historic Victorian hotel, you will find free high-speed Internet, free breakfast, and room service. The hotel also has a business center and suites are available. 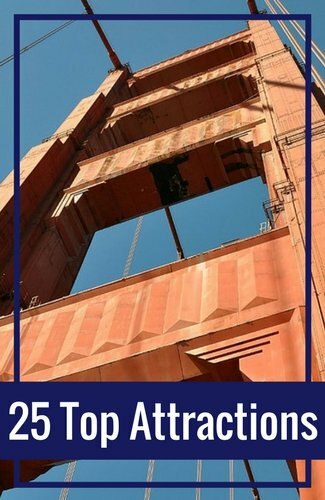 Find the best deal for the Queen Anne Hotel on Booking.com. 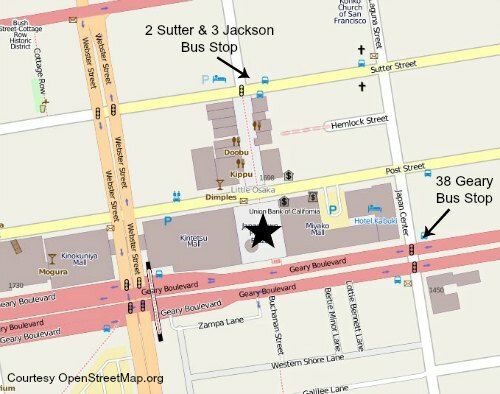 38 Geary: This bus picks up at several stops along Market Street. Take it to the Geary and Laguna stop - which is on the eastern side of Japan Center. Note: Make sure you catch the regular 38 as the 38L has a limited number of stops. 2 Sutter & 3 Jackson: Both of these buses pick up all along Sutter Street - just a block from Union Square. Take either one all the way to the Sutter and Buchanan stop. Walk one block south (down the hill) to get to the Japan Center and the Peace Plaza. Walk: The Peace Plaza is about five blocks away from this stop. You can walk by heading one more block down Van Ness Street to Post Street. Head west on Post Street until you see the Japantown signs. Transfer to the 2 or the 3: You can also transfer to another bus here. Both the 2 and the 3 (mentioned above) pick up on Van Ness and Sutter. They will take you four blocks to Sutter and Buchanan - where you will then walk just one block down the hill to the heart of Japantown.